We are working with a team of deft professionals who manage the entire task proficiently and lay special emphasis on product packaging so as to ensure safe and secure deliveries. Our product range is subjected to stringent quality control procedures to ensure they are as per industry standards. Years of involvement in this domain has enabled us to manufacture and supply top quality EPR Control Cable. These cables are widely used for wiring various machines, vehicles, power plants and ships. Manufactured using high quality materials, these cables ensure uninterrupted flow of electricity. 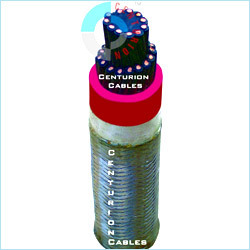 The offered cables are insulated with EPR, which provides excellent protection from fire and water. Our skilled professionals examine the EPR Control Cable before delivery to ensure flawless finish.